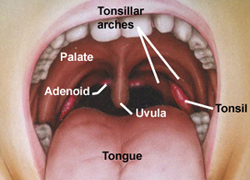 Tonsil Stones are those annoying, nasty smelling, yellowish-white, pea sized globs you occasionally find in your throat. Here’s how to get rid of them. 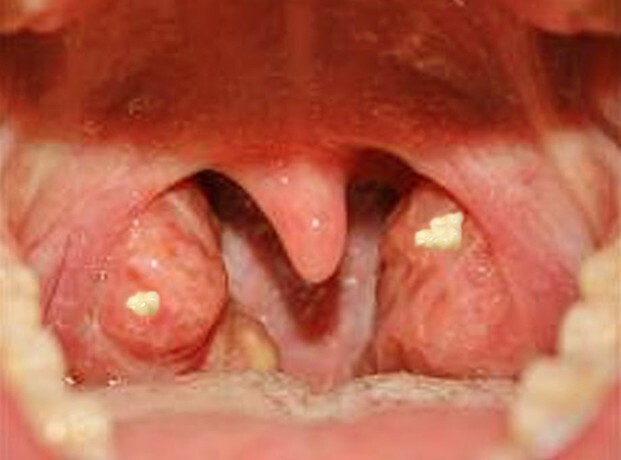 Finding white spots on tonsils can be unnerving. But they generally are nothing to be worried about. Here is how to eliminate them. Tonsil stone care is vital to not only restoring normal, healthy breath, but also for strong overall oral and dental health. There are a number of sore throat remedies out there. Quickly find out if your sore throat is a minor annoyance, or a symptom of a bigger problem. A tongue scraper is something that most people never even think about, but using one can be one of the most effective tools in your arsenal against bad breath. Tonsil Blisters – Annoyance or Problem? Tonsil blisters can be caused by a variety of different ailments. Some are an annoyance and related to bad breath, while others can be far more serious. Is white tongue a symptom of a larger problem, and how does it affect my bad breath and my overall oral health? Finding tonsilloliths in your throat can be an unsettling experience, but relax, they’re not dangerous! Here’s how to get rid of them.